Doyle Sailmakers provides sailors around the world with quality sails and unparalleled personal service. 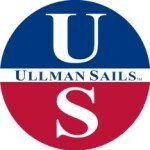 No other sailmaker works as hard to satisfy the unique needs to every client, from the daysailors to the superyachts, and every boat in between. If you’re looking to win races, cruise confidently, or just enjoy your boat more, you can rely on Doyle. You will find FRITZ One-Design-Sail at all events, where one design classes are sailing against each other. Our modern factory with plotters and laser-cutters guaranteed that your sails are exact the same as those of the winners. Come in our team and profit of the knowledge and manpower of the plural world- und european champions Werner Fritz and Vincent Hoesch. Lo sviluppo di una vela ad alte prestazioni comporta tutta una serie di attività. Il disegno e lo sviluppo di una vela iniziale, forma di prototipo, produzione, collaudo su una barca, e la modifica e ri-prova fino a che alla vela svolge come desiderato. L’uso di simulazioni al computer migliora in modo significativo questo ciclo di progettazione, dando al velaio la possibilità di rivedere la performance delle vele progettate prima dell’inizio della produzione. Ever since Veleria Montefusco has been producing sails mainly for One Design classes. Sandro and Paolo Montefusco have never stopped to win with their own sails since the early days in 470, no matter if they were sailing in the most demanded areas or within the most prestigious One Design circuits. 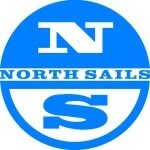 The North Design Suite is an integrated family of specialized software programs that brings unprecedented power and flexibility to sail and rig analysis. Each specialized program can interface with others within the suite, allowing North sail designers and engineers to virtually sail and test a boat in an infinite variety of conditions before construction. NDS significantly expands a designer’s ability to test different sail and rig combinations and accurately measure results. Equally as important, NDS significantly reduces tuning and development time after launch. he loft has been given a new boost by the 2004 entry of Paola Bacchiega (sailing coach and former champion), Dede De Luca (an Olympic Games and America’s Cup campaigner who has been competing at the top level for 30 years) and Mafio De Luca (skipper with a wide sailing experience, from OlYmpic dinghies to maxi yachts). A gold medal with Torben Grael at the Olympic Games and an entry into the America’s cup with +39 count among the many successes of the loft over the years. Le performance di una vela iniziano con la progettazione e dietro ogni vela Quantum® c’è un team di progettisti con una grande esperienza sul campo e nello sviluppo di strutture aerodinamiche. Quantum produce soluzioni altamente personalizzate per la crociera, monotipo e da regata perchè ogni barca richiede un inventario vele unico, che tenga conto delle condizioni di vento che dello stile di navigazione dell’equipaggio. Oggi tutta la tecnologia che ha reso Quantum uno dei maggiori produttori mondiali di vele, la trovate nel nuovo loft Quantum attivo sul Lago di Garda. Handwork care is granted through tables specifically designed to match each sail production process Seam quality comes from a wide range of sewing machines techniques, to have the best seam type according to the mechanical necessities of the products. On a regular basis, our processing tools are updated with qualified upgraded versions.As a result of all this, our sails are fabricated with the highest quality standards, allowing us to supply a top-level product to our customers. The Velman s.r.l. 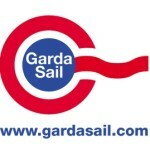 it is a specialized textile firm in the production and sale of sails, plotted for sails and manufactured articles for the nautical present on the market from 1980. The productive establishments, situated in Massa Carrara , they develop him on 2.500 mqs with 60% turned to the production of the fabrics and the remainder to the finish of the sails and it occupies 14 employees. The point of strength of the Velman has always been the search and the development of the planning and the technology.